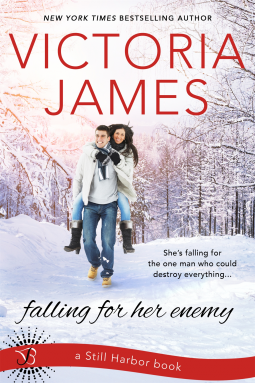 If you like sweet contemporary romances then 'Falling For Her Enemy' should tick all the boxes for you. I really liked Hayden and Alex. Their initail meeting was very humorous and I found myself identifying with some of Alex's personality quirks. Their developing friendship and eventual romance was fun to follow. I also really enjoyed the circle of friends Alex had surrounded herself with and I would like to read more of their stories. I would rate this book with 3 out of 5 stars as I felt that the story dragged a little bit. There were no surprises and the story unfolded more or less the way I thought it would.